The foundation of a healthy mouth begins with teeth that are free of tooth decay and here at Fidel Dental Group, it’s our mission to do all we can to help you in that goal. As your choice for a Washington DC and Arlington, VA affordable dentist, we offer an in-house discount plan along with reasonably-priced dental care so that our patients can always get the dental treatments that they need and deserve. With our dedication to providing affordable tooth decay prevention, we’ll always make sure that your smile is healthy! Tooth decay is actually a very common problem for both children and adults. 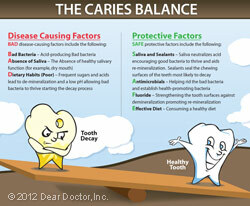 In fact, tooth decay is estimated to affect over half of all children between the ages of 12 to 15! 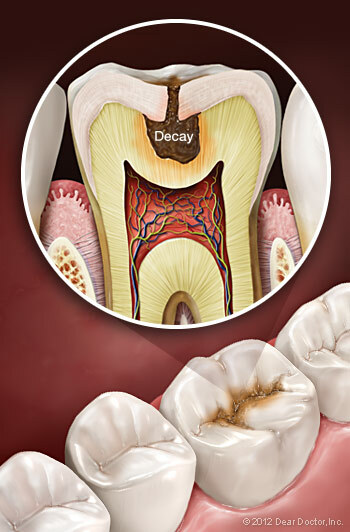 While tooth decay may go unnoticed at first, in later stages, it can lead to discomfort, pain, and even illnesses due to bacteria from the decay traveling into the bloodstream. You don’t have to suffer from this problem though as we’ve provided you with some information about tooth decay and how you can help prevent it. 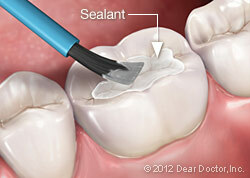 Tooth decay starts when a sticky film known as plaque begins to collect on the teeth. Plaque’s harmful bacteria will eat the sugar that’s leftover in the mouth and then produce acids. These acids will slowly eat away at the protective enamel of the teeth. This will gradually continue, with the tooth decay eventually penetrating into the dentin that’s made up of tiny nerve endings. These nerve endings can become irritated, causing a patient to feel discomfort or pain when exposed to hot or cold temperatures or even just when biting down. Maintain a Great Oral Hygiene Routine – An excellent plan to prevent tooth decay will always start with great oral hygiene. By brushing twice every day and flossing as well, you’ll keep your teeth healthy in addition to cleaning away any food and bacteria that can begin to create tooth decay. Eat a Healthy Diet That’s Low on Sugar and Starches – Tooth decay is caused by your mouth’s acid-producing bacteria as they eat any leftover carbohydrates in your mouth. 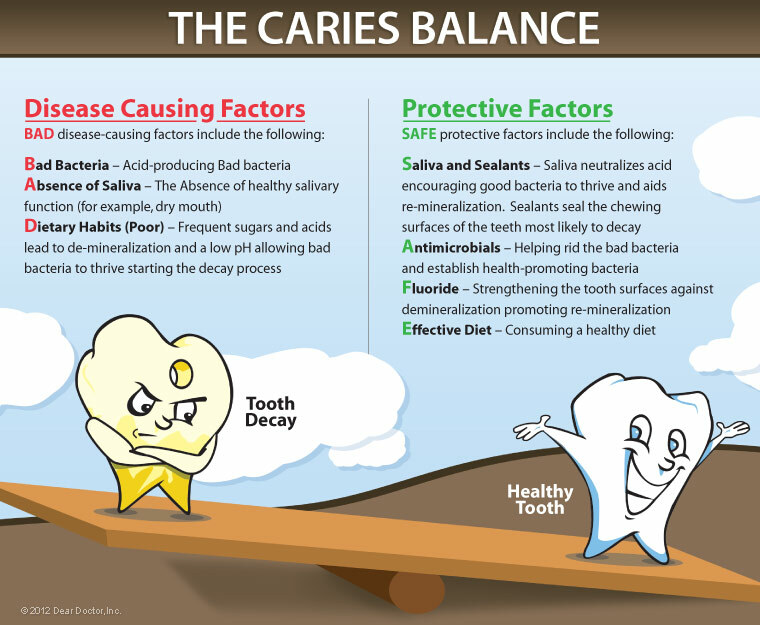 These carbohydrates are most often found in sugars and starches – the two most likely types of food to cause tooth decay. Try to limit consuming these types of foods and eat a healthier diet instead. Visit Your Dentist for Regular Checkups and Cleanings – Not only will a visit to your Washington DC and Arlington, VA dentist provide you with a teeth cleaning, but you’ll also get many other benefits as well. Your affordable dentist can give you some guidelines to follow to improve your oral hygiene regimen further. Also, we can provide helpful procedures such as sealants, which will make teeth more resistant to decay, and in-office fluoride treatments, which is a decay-fighting mineral for those who aren’t getting enough of it in their daily life. Visit Your Arlington, VA and Washington DC Affordable Dentist! If you’d like to schedule an appointment with your affordable dentist in Washington DC and Arlington, VA, please feel free to fill out our online appointment request form. Alternatively, you can give us a call at one of our two convenient locations. Our Arlington, VA office phone number is (703) 575-9899 and our Washington DC office phone number is (202) 362-7413. We hope to see you soon!